Managers often ask: Should I act for short-term results, or think long-term? and How is long term thinking still relevant in this fast paced, ever changing world? This has always been the work of BIOSS. We appreciate and understand the decisions and actions that have to happen at every level of the organization. Some individuals have the responsibility to add value for the present, to ensure that quality is present in the organization, that customers are happy, that everything is well managed and optimized and that they are creating value for shareholders NOW. Others have the accountability of having to ensure the longer term sustainability and success of the organization; they have to ensure that the organization remains relevant over time and they need to create value for the future. See Gillian Stamp’s article on Value Creating. In the BIOSS arena it is not about short term vs long term thinking. It is about ensuring and leveraging both! Short-term actions seek prompt payback. Long-term actions require more patience – for example investments that may not pay off for five or more years. Choosing the right mix of short- and long-term actions maximizes value for the organization. Both Short and Long Term add Value! Every organization needs short- and long-term actions. Short-term tactics help an organization deal quickly with crises or rapid change. Short term actions are quick and often low cost, their effect tends to be incremental: for example, refining a product rather than developing something entirely new. You will find that the benefits and costs appear quickly and are easy to measure. Through long-term actions, organizations seek to achieve more significant, even transformational changes that will enable durable success. They may invest in new infrastructure or business areas. These investments take longer to pay off, and can be difficult to quantify in advance — but can act as game changers for an organization. How do time horizons relate to sustainability? In sustainability, many actions are short-term wins: e.g. waste reduction. However, realising other investments in stakeholder relationships or environmental stewardship takes time. For sustainability, it’s also important to consider the needs of different stakeholders as they affect the organisation. Why does Short Term Dominate? Even though short-term and long-term actions are equally necessary, most organisations emphasise the short term. Through their research, Souder, Reilly, and Ranucci, found that 80% of CFOs have turned down projects expected to produce positive net present value in the long run because the projects would lower the firms’ quarterly earnings. Desire for definite returns. We manage what we can measure. Managers discount the value of projected costs and benefits on long-term projects because the future is uncertain. Investor pressure. Investors overwhelmingly focus on short-term returns. Organisational incentives. In part because of investor pressures, bonuses and job evaluations often push people toward short-term action. Human nature. People, including managers, naturally focus on the shorter term. We tend to value the satisfaction of quickly addressing a problem. Both long- and short-term thinking are essential to organizational success. In times of crisis and rapid change, short-term thinking can help your organization survive. 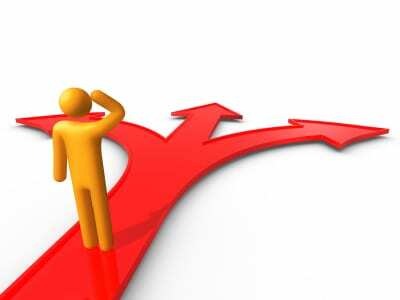 However, to prosper over the long term, the transformational impact of long-term decisions are essential. By understanding and effectively addressing stakeholder needs, both short and long term, organisations can thrive in an increasingly fast paced, ever changing world! For more information on organisational decision-making and how to optimise it within your company please contact info@bioss.com.